South Burlington schools will be closed Friday after someone threatened teachers and students alike in an email message sent Thursday. The district announced the closure Thursday afternoon, hours after the school day ended in a lockdown — for the second day in a row. All students were sent home by bus, even those who normally walk or drive to school, after someone sent an email threatening to kill five teachers and 11 students, WCAX-TV reported. 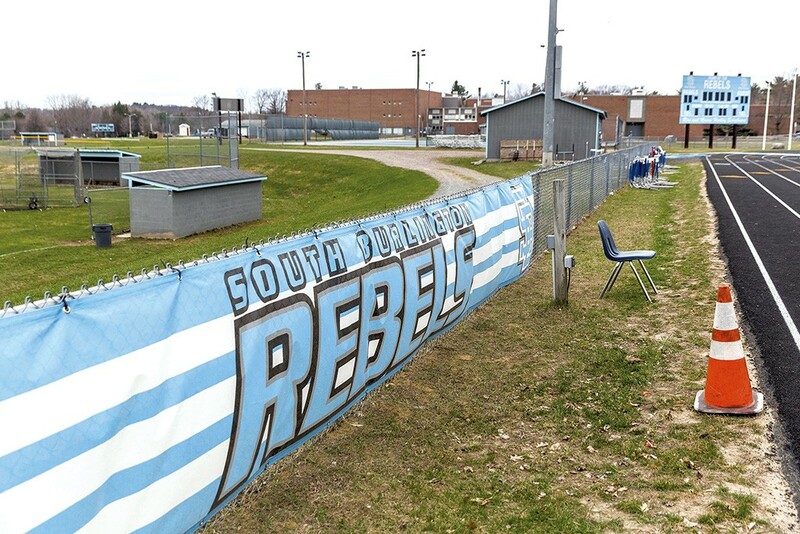 The email allegedly made reference to the controversial decision to drop the high school's nickname, the Rebels, according to the Burlington Free Press. "THIS COULD’VE BEEN PREVENTED FROM KEEPING THE REBEL NAME. NOW I’m gonna have to attack you all. I don’t care for my own life as long as you’re all dead!!!!!" the email reads, according to the Free Press. The name change has stirred up community members. Critics say the Rebel name has racist overtones because it alludes to the Confederate South. Defenders believe the name is innocuous and want to keep it — even though the school board approved a change in February. The school budget, which includes money to scrub the Rebel name from playing fields, banners and sports jerseys, has twice failed in a vote. South Burlington schools also went into lockdown Wednesday after threats. Someone emailed threats to the high school and Frederick H. Tuttle Middle School on Tuesday, too, according to WCAX. A community forum on heroin that was scheduled to be held at the South Burlington High School on Thursday evening was subsequently canceled, police said. Schools in Essex were locked down and evacuated last week after a threat there. Police later said the incident appeared to be a case of "swatting" — a false report of a crime intended to trigger a massive police response.